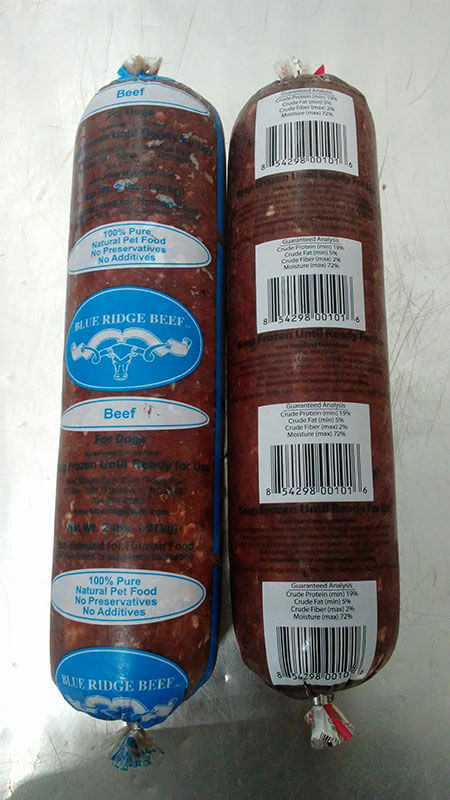 December 8, 2016 — Blue Ridge Beef of Eatonton, Georgia has announced it is voluntarily recalling two of its frozen products due to their potential to be contaminated with Salmonella and/or Listeria monocytogenes. Salmonella and Listeria can affect animals eating the product. Consumers exhibiting these signs after having contact with this product should contact their healthcare provider. Consumers should also follow the simple handling tips on the package. This recall was initiated after the FDA received two complaints associated with these products, including one complaint of two kitten illnesses and one complaint of a puppy death. Subsequent testing by the FDA of a 2 pound chub of beef for dogs and kitten grind collected at a veterinary office revealed the presence of Salmonella and Listeria monocytogenes. There is no direct evidence linking these unfortunate instances to contaminated product. 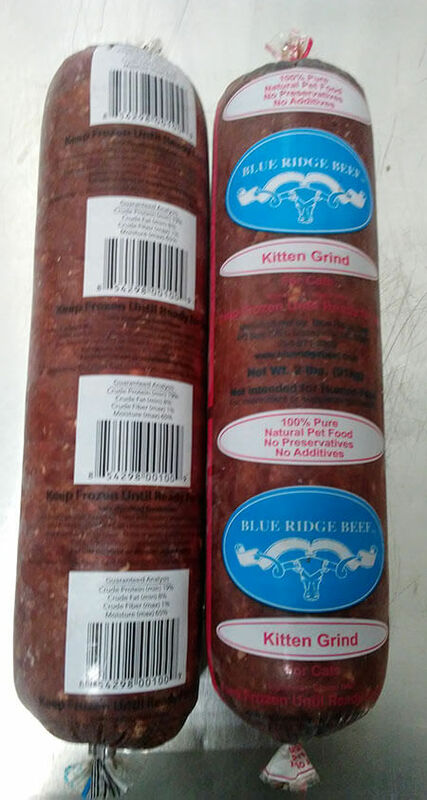 Consumers who have purchased the above lots of beef for dogs or kitten grind are urged to stop feeding them and return products to the place of purchase for a full refund.